Here is the perfect cabin to beat the valley heat just 40 minutes from Redding. 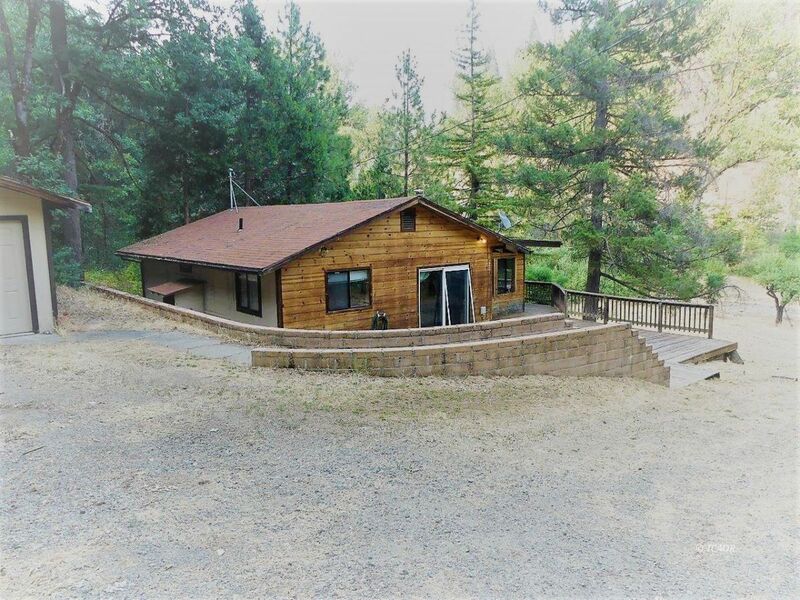 Only 6 miles from Weaverville, this 1100 sq. ft., 3 bedroom, 1 bath home is located on 5.36 acres. Property is "Trinity County flat" so bring the animals and get your vegetable garden started in the lush loam soil. Multiple water sources include a deep well, creek and seep well. Some bonus points include, a water filtration system, buried irrigation lines and 2 underground water storage tanks. Mature fruit trees including plum, apple and almond. The open floor plan opens to a large deck with outdoor kitchen area / BBQ area for entertaining. A detached bonus room has laundry area and a spacious workshop with 220V electrical service.